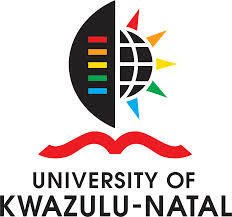 UKZN’S Department of Family Medicine, is one of the successful co-applicants in South Africa, sharing a European Union Grant of approximately R16.5 million with other departments of Family Medicine to strengthen primary health care (phc) through primary care doctors and family physicians. The project funding is for 30 months and includes the Departments of Family Medicine and Primary Care at the University of Stellenbosch, University of Limpopo, Pretoria University, University of Witwatersrand, Free State University, Walter Sisulu University, University of Cape Town, University of Ghent (Belgium) and UKZN. Co-partners also includes the South African Academy of Family Physicians, South African College of Family Physicians and the Royal College of General Practitioners (UK). It is envisaged that one of the outcomes of the project would be designing, developing and implementing a national Diploma level training programme for existing primary care doctors, from either the private or public sector, to enable them to better support the ward-based primary care teams and to offer services commensurate with the government’s PHC revitalisation programme.